Stay tuned for upcoming events for Big Data and Analytics in near future. A substantial share of today’s industry and research requires skills over Big Data and Analytical tools and techniques. Considering the significance of the topic The University of Lahore and Nationals ICT R&D Fund is organizing a 3-Day workshop for Big Data and Analytics. 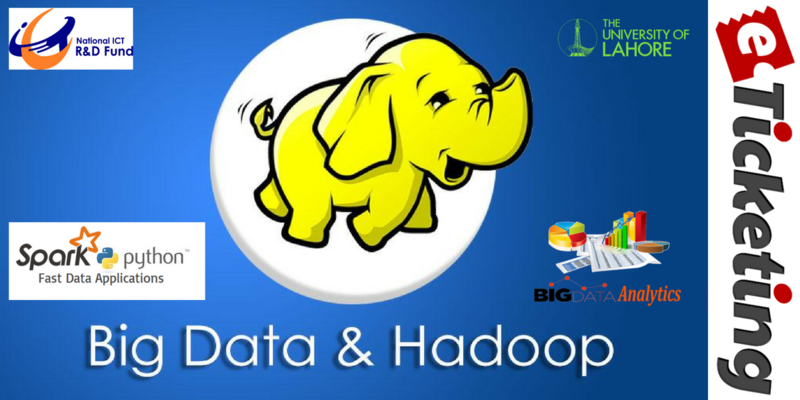 This workshop will provide hands-on training sessions for the tools and techniques used for Big Data and Analytics. It will include machine learning algorithms, Data extraction over web/cloud, Big Data processing using Python, Spark and Hadoop. The University of Lahore (UOL) has played a major role in enhancing learning and research activities among students by provide them a great platform of learning. Our Mission is to create self enlightenment between students through Quality education. We always try to enhance the potential of our students by motivating and directing them to right path. We always believe in highlighting the achievements of students, who want to study in the private sector, with a greater choice of courses. This objective has always been strengthened by developing excellence in teaching, learning and research at UOL. Best Viewed at 1024 x 768 pixels and above. This Page loaded in 0.02441 seconds on Tue, Apr 23, 2019 (21:30).